Key difference: PlayStation 3 (PS3) and PlayStation 4 (PS4) are current home and video-audio game consoles of Sony Computer Entertainment. They both differ in many technical aspects. PlayStation 3 was released in 2006, while PlayStation 4 was released in 2013; and is the successor of PlayStation 3. 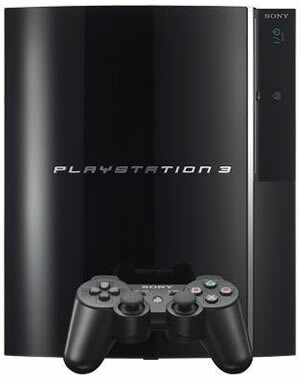 PlayStation 3 (commonly known as PS3) is a well-known home video game console, released by Sony Computer Entertainment on November 11, 2006, in Japan. It’s the first console system to use the Blu-ray Disc as a primary storage medium. The controllers and hardware are: the wireless Six-axis and Dual Shock 3 controllers, the Logitech Driving Force GT, the Logitech Cordless Precision Controller, the BD Remote, the PlayStation Eye camera, and the Play TV DVB-T tuner/digital video recorder accessory. The console supports the features, such as the online gaming service, the PlayStation Network and the associative connectivity with PlayStation Portable and PlayStation Vita. It can also be connected to the PlayStation Store via the PlayStation connectivity. PlayStation 4 (commonly known as PS4) is a video game console of Sony Computer Entertainment, released in the month of November 2013 in North America, Europe and Australia. The console enables interactivity with various other services via the advanced cloud computing, PlayStation App and PlayStation Vita modes. The console is built-up with a processor developed by AMD, which works in cooperation with Sony. It combines a central processing unit (CPU) and graphics processing unit (GPU), along with the memory controller and video decoder. It supports WiFi and Ethernet connectivity, Bluetooth, and two USB 3.0 ports. The primary controllers include the DualShock 4, which functions similar to that of DualShock 3 and connects the connectivity console via Bluetooth 2.1+EDR. The PlayStation camera works on motion sensing technology. PS4 interacts with the smartphones, tablets, and PlayStation Vita as a second screen device. The console runs an operating system called "Orbis OS". 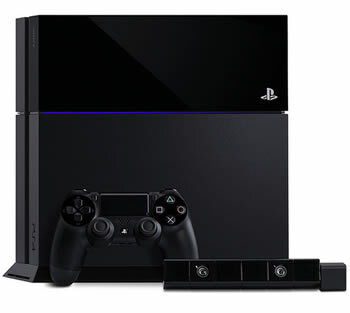 The PlayStation 3 is a home video game console produced by Sony Computer Entertainment. It was released in the month of November 2006. It was released in the month of November 2013. It is the successor to the PlayStation 2. It is the successor to PlayStation 3. 610amAh DualShock 3 (192g, six-axis motion sensing). 1000amAh DualShock 4 (210g, six-axis motion sensing, 2 Point Touch Pad). Bluetooth 2.0 (EDR), IEEE 802.11 b/g Wi-Fi. Bluetooth 2.1 (EDR), IEEE 802.11 b/g/n Wi-Fi. Cost is less as compared to PS4. Cost is high as compared to PS3. Uncharted 2: Among Thieves and many more. Call of Duty: Ghosts and many more.